Whether we need them to communicate, entertain us, or just make sure we wake up on time each morning, we rely on our iPhones to work correctly all the time. So an iPhone that keeps shutting off for no obvious reason is a problem. There are a number of things that could cause this problem, including faulty apps and water damage, but, in the vast majority of the cases, the problem is the battery. There are a few ways to tell for sure that the battery is the problem: the Battery Health feature built into the iOS, if your iPhone shuts down at 30% battery, and a tool provided by Apple. All of these options are covered in this article. But let's not get ahead of ourselves. 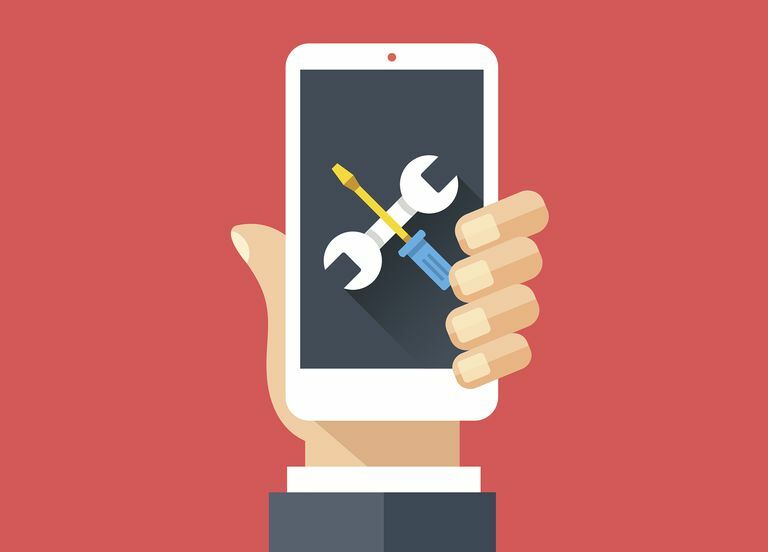 Before you go down the battery-replacement route, there are some easy software steps you can take to try to fix an iPhone that keeps shutting off. On the iPhone 8 and iPhone X, click and release the volume up button. Click and release the volume down button. Click and hold the Side button. Keep holding the buttons until the screen goes dark and the Apple logo appears. Release the buttons and let the iPhone start up like normal. How to Update iTunes to the Latest Version. Tap each app that's listed in this section and move its Allow Notifications slider to off/white. When the update is complete and the phone has restarted, repeat steps 1 and 2, and then turn notifications back on for each app whose notifications you turned off in step 3. If you're running iOS 11.3 or higher on your iPhone, you've got a feature specifically designed to help pinpoint problems with your battery. Battery Health provides two key pieces of information: the maximum charging capacity of your battery and how your battery's strength is affecting your phone's performance. The Maximum Capacity menu shows the total charge capacity your battery can hold, the higher the better. If your Maximum Capacity is very low, that may be a sign of a problem with the battery. The Peak Performance Capability menu tells you whether the performance of your iPhone has been automatically decreased due to issues with the battery. If you see anything other than Peak Performance Capability, that may be a sign that your battery has issues. The Battery Health section will also tell you if your battery is at a point where it needs to be replaced. In iTunes, make a back up of your iPhone by clicking Back Up Now in the main iTunes window. For iPhone 8 and iPhone X, quickly press and release the volume up button, then the volume down button, then press and hold the Side button. Keep holding the Side button and, when the screen turns black, press and hold volume down. After 5 seconds, let go of the Side button, but keep pressing volume down. When your iPhone appears in iTunes, let go of the button. For iPhone 7, press and hold the on/off button and volume down button at the same time. When a window pops up in iTunes that says iTunes has detected an iPhone in recovery mode, let go of the volume down button. If the iPhone's screen is black at this point, you're in DFU Mode. For all other models, the steps are the same as for the iPhone 7, except you hold down the on/off and Home buttons instead of the volume down button. Restore your iPhone from the back up you made in step 2. If none of the other things you've tried so far have solved the problem, that may be because the problem is with your iPhone's hardware, not software. It could be that the battery in your iPhone is defective or at the end of its life. This can affect any model iPhone, but Apple has found a particular problem with some batteries in the iPhone 6S. The company has even created a tool that lets you check your iPhone's serial number to see if it's got that problem. If the site confirms that your iPhone battery has that issue, follow the steps listed on that page to get a repair. Even if you don't have an iPhone 6S, a faulty battery or other hardware failures might be the cause of your issue. Apple is your best bet for getting help, so contact the company to get tech support.